Jolla was started when it became clear Nokia was abandoning the MeeGo project to start work on Windows 8. The team, which now has 60 staff, began working on a different operating system run on the same design as MeeGo. Most of the staff are ex-Nokia workers, who decided to move out and work on Jolla when their project was disbanded. Jolla announced the first smartphone to run its Sailfish mobile operating system (OS) on Monday, ahead of its European release later this year. Despite us thinking the firm had named the phone “The Movement” as if it was a rapper or wrestler, the phone apparently is named, somewhat confusingly, Jolla. Its specifications are a bit more straightforward though, with the handset boasting a 4.5in display, a dual-core processor, 16GB of internal storage, an 8MP camera, and 4G LTE support. The Jolla smartphone is the first handset to run Jolla’s Sailfish OS which is essentially a reworked version of Nokia’s now-defunct Meego OS. The Sailfish OS is compatible with Android apps, Jolla boasted and features a predominantly gesture-based user interface. The Jolla handset will be available in Europe by the end of 2013, sporting a €399 price tag. It’s available to pre-order now and there are three pre-order options available. Buyers who go for the Jolla €0 preorder package are guaranteed a handset at €399 when it launches later this year, while the €40 and €100 packages offer users a guaranteed handset and a free t-shirt, or an exclusive backplate, a t-shirt and a €100 voucher, respectively. 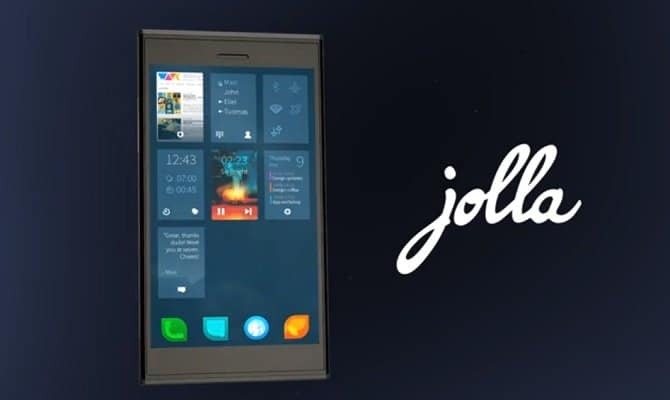 In an effort to boost app available on its platform, Jolla has made Sailfish compatible with Android applications. This means that those who purchase Jolla’s phone will be able to download and install apps from Google’s Play store, which boasts a selection of more than 800,000 applications. According to Jolla, you’ll have to install these apps through a “third party solution,” which probably means you’ll have to sideload them. This should make it easy for Android developers to port their apps to Sailfish, although we’re still waiting to hear about Sailfish’s own app store. Sailfish is an open source mobile operating system based on the Linux kernel, which means it supports both ARM and x86 devices. It builds on the Mer core that provided the foundation for MeeGo back in 2010 and uses a custom built user interface. So what does this actually mean for smartphone users? With Sailfish, just like with Android, Firefox OS, and Ubuntu, users can get the source code that Sailfish is based on. This means you can actually make alterations and tinker with the software unlike Apple’s closed-source iOS mobile operating system. Similar to BlackBerry 10, Sailfish uses directional swipes to navigate the OS rather than physical buttons. For example, from the home screen, you can swipe up to access the app launcher and swipe down to return home. You’ll also use pulling and swiping motions to make selections and launch menus within apps as well. The “People” app, for instance, requires that you place your finger on the menu that you’d like to launch and then pull down to see your options. Let’s say you’d like to edit information associated with one of your contacts within the People app. Pressing a category such as “Company” and dragging down will reveal “Edit” and “Delete” options at the top of the screen. You can also press and drag from left to right to exit an app. Sailfish is all about using tapping, pressing, swiping and dragging gestures to launch commands and Jolla has thrown some shortcuts into its OS as well. From within any app, you can press your finger down on the right side of the screen and push toward the center to reveal your notifications and network and battery indicators. As soon as you lift your finger from the screen, you’ll be back where you were in the app. Although Jolla plans to focus on the smartphone market, its Sailfish OS is also compatible with tablets. Back in November, the company responded to a Twitter user who asked whether or not we’ll ever see a Sailfish slate. “We shall see, Sailfish OS works on a tablet too,” Jolla tweeted. Sailfish will be entering a crowded smartphone market when Jolla launches later this year, but we’ll be looking forward to seeing how it fares against the competition. Firefox OS and Ubuntu are both newcomers on the mobile OS scene, but competing with a household name like Android could be tough. According to PCWorld, the IDC says that Firefox OS and Tizen are expected to take less than five percent of the smartphone market share in five years, and the research firm hasn’t even begun tracking Ubuntu and Sailfish.